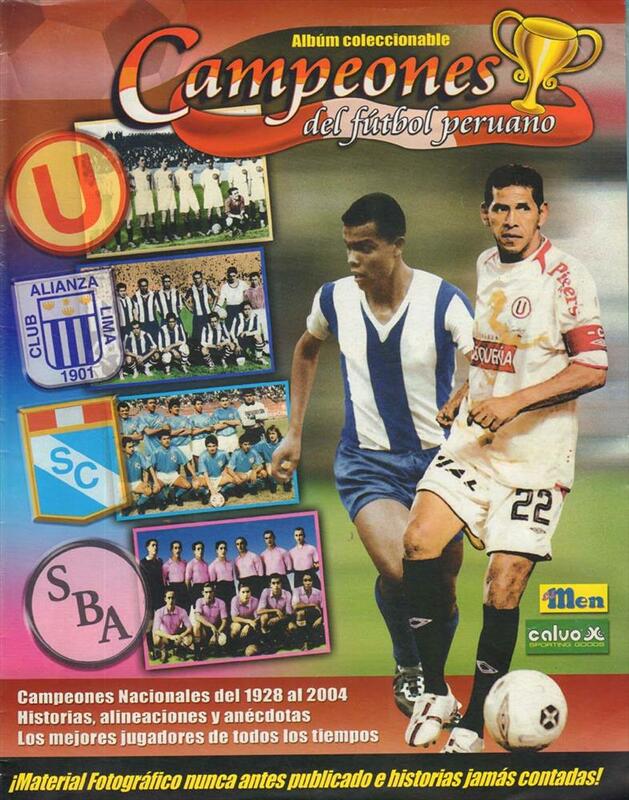 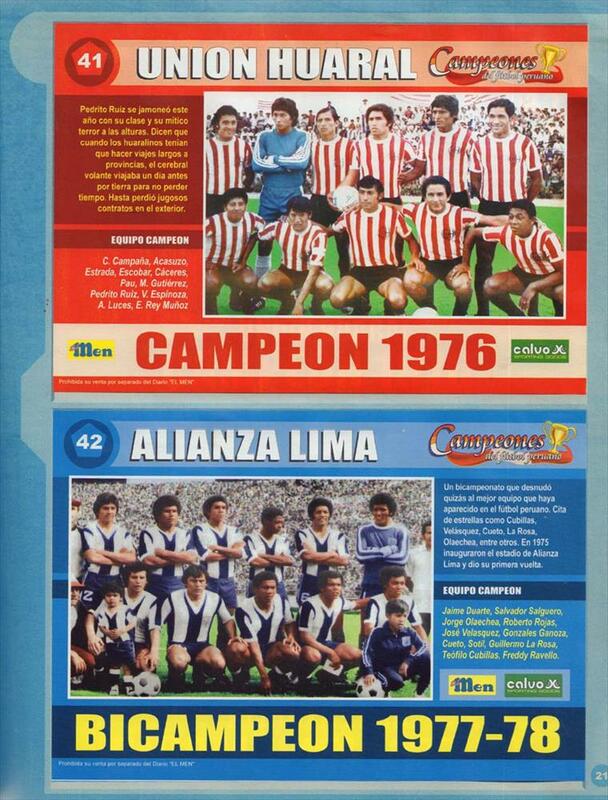 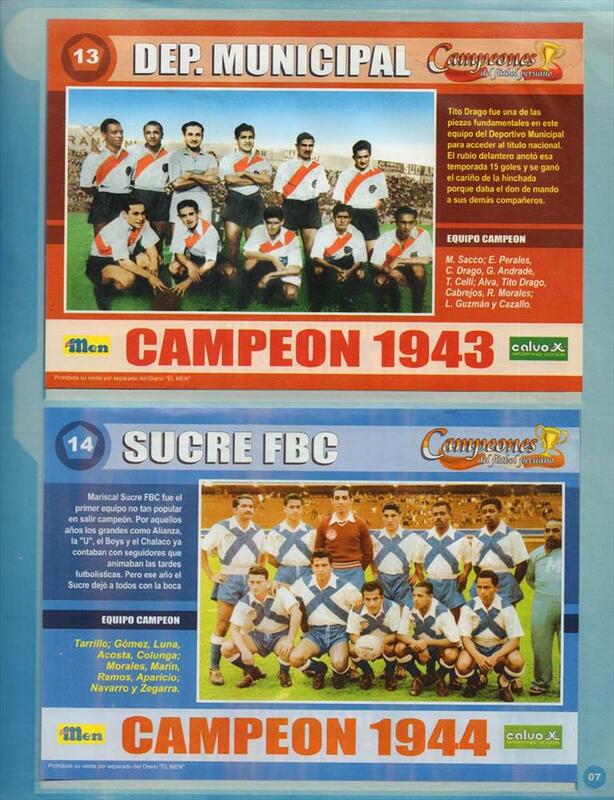 Description Excellent card album from Peru featuring full colour team-photos and details of all the championship winning teams in the first 76 years of the national championship. 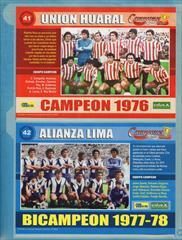 Also features some of the greatest stars of the championship history. 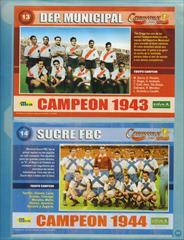 33 x 27 cms, Album, 42 pages.